“For more than a decade, Canary by Gorji has reliably been Addison’s best restaurant. The baby eggplant in Dallas at Canary By Gorji and the paella dish are some of Chef Gorji’s New Mediterranean specialties. They are featured on the Dinner Menu at the fine dining restaurant in Addison. 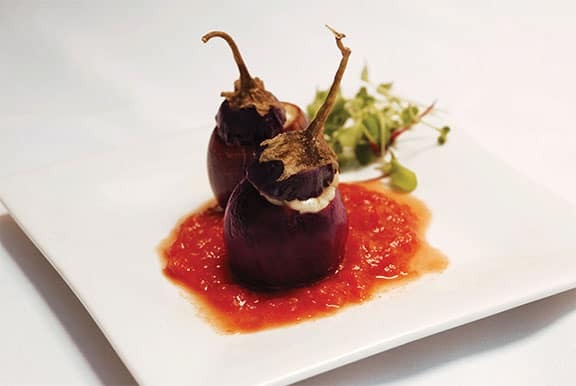 The eggplant recipe is also featured in Chef Gorji’s cookbook, Zing! New Mediterranean Cuisine. No Replies to "Eater Lists: Gorji Best Addison Restaurant with "killer cuisine""